Material: PU. Dimension: L*W*H: 15x5x17cm(5.9"x2"x6.7"). Structure: Adjustable shoulder straps and zippered pocket. Perfect present for your lovely children. Suitable for children to take for school, kindergarten, camping, travel, etc. Ships from Hong Kong. 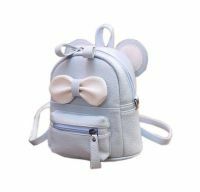 The cute shoulder bag is perfect for kids, or anyone who wants a backpack purse for casual daily use. The large main pocket can hold wallet, toys, diapers, bottle and more. 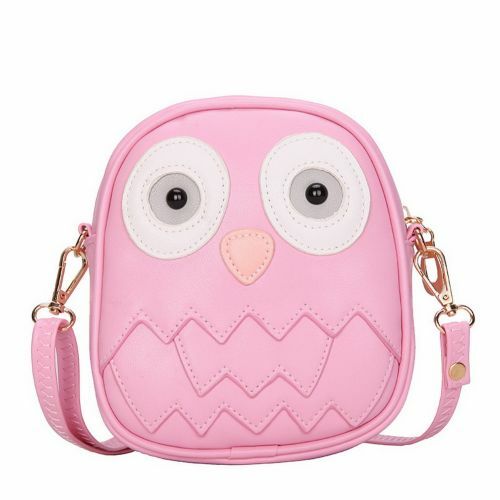 The shoulder bag has adjustable shoulder straps and the pattern on the backpack purse is cute and fashionable which is suitable for children to take for school, kindergarten, camping, travel, etc. Keep your kids stylish with these cute kid shoulder bag. It's perfect for playing dress up or for storing little items inside! Each bag has zippered pockets to keep her/his toys secure! It's great for a toddler or preschooler and also works very well as a backpack purse, but it is not large enough to be used as a student backpack. Please Notes: * 1-2cm error of measuring is a reasonable range due to different measurement methods. * Please allow little color difference due to different camera or screen show. Washing instructions: * Hand wash only. * DO NOT washing with hot water. * Hang to dry.